THE past 12 months have been a whirlwind for Gregor Grant. 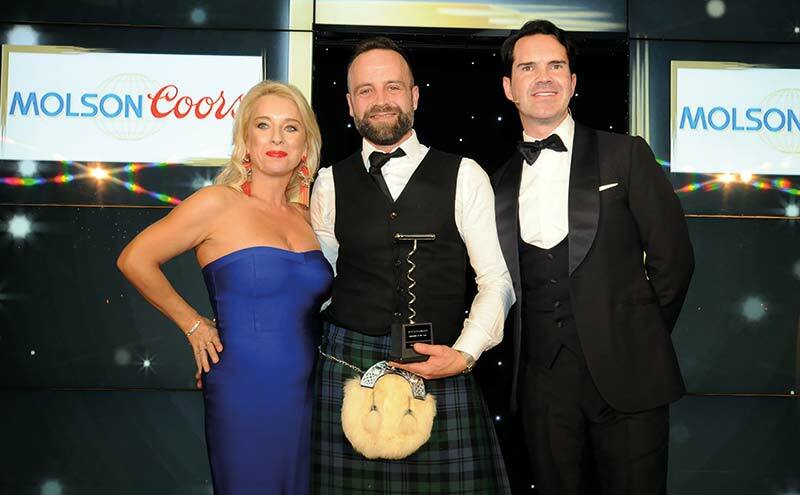 Not only was he named Bartender of the Year in association with Molson Coors at the 2017 SLTN Awards last November, in February of this year he married his long-term partner, Callum, and swapped his assistant manager gig at the Bridge Inn in Peebles for a duty manager position at Mitchells & Butlers-owned Hectors in Stockbridge. 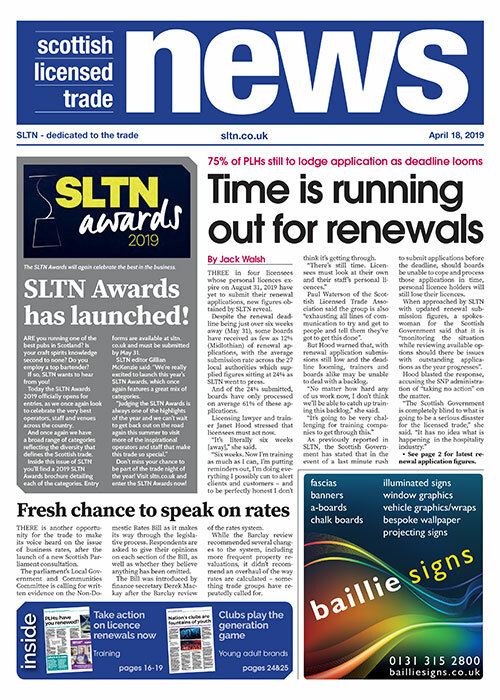 And when SLTN caught up with Gregor last month, it was clear he is relishing the challenge of the latter; in fact, he’s no stranger to career changes. 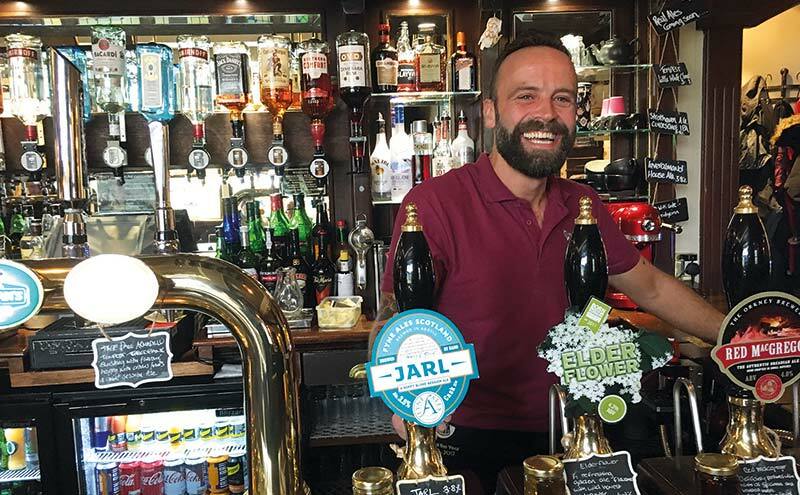 Having grown up in the trade – his parents owned and operated The Neidpath Inn for almost 30 years – and worked in various Peebles pubs from his late teens through to his mid-20s, Gregor stepped away from the pub scene to work in finance, where he would stay for more than a decade. Until, in 2016, following six months of travelling during which time he picked up the odd bar shift here and there, he found himself returning to the trade full-time. “The pub trade’s in me,” Gregor told SLTN. He credits his friend Nikki Cassidy, general manager of the Bridge Inn, for facilitating his return. “After six months [travelling] I came back and was like ‘where am I going to go?’” said Gregor. “So it was when I was down in Peebles I was chatting to Nikki one day and she was like, ‘well, do you want some shifts?’ And then a week later she said, ‘sod the shifts, you’re coming in as an assistant manager… because I know you can do it’. But, living in Edinburgh, the commute began to take its toll. “It got to the point where I was like, ‘I never see the inside of my house, I don’t know what my husband looks like’ – and a friend of mine who actually worked here (Hectors), he was the one who told me the job was coming up so I thought ‘it’s time to make the move’,” Gregor explained. While his commute now – a mere ten minutes – is far more palatable, Gregor said the move has involved new challenges. He said: “It was a change coming into somewhere like this where it’s food as well. “What’s different is the type of company; the Bridge Inn is independent, this is Mitchells & Butlers – big company. “The hardest thing was getting used to their policies and the way they run everything. And while Gregor is involved in most aspects of the business – from rotas and banking to staff management – he admits his favourite spot remains front of house. “I’m always behind the bar,” he said. It follows then that good customer service underpins Gregor’s approach to every aspect of his job. “If you don’t have customer service, you don’t have customers,” he said. Another thing Gregor didn’t see coming was his win at the 2017 SLTN Awards. “I honestly didn’t think I would get that at all, especially when Nikki (Cassidy of the Bridge Inn) won the Beer Quality Award. Despite the number of changes in the past 12 months, Gregor continues to look forward – admitting that he harbours ambitions of one day running his own bar. And he reckons anyone considering a career in the trade should embrace it. “Don’t be scared of it,” he said. “You look in bars and think they’re all fancy with their cocktail lists and you watch bartenders behind the bar, but you can soon learn it all.